Attention: the E-Bike is only suitable for people longer then 160 cm. 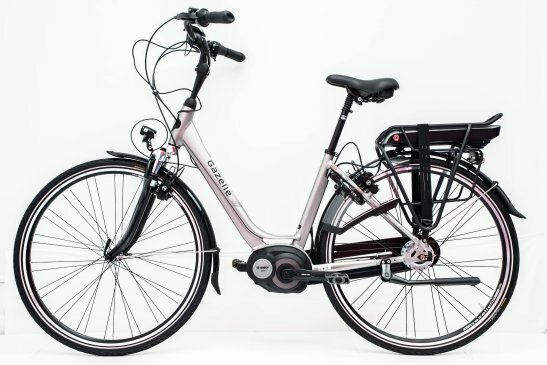 Renting an e-bike in Amsterdam from A-Bike has a lot of advantages. 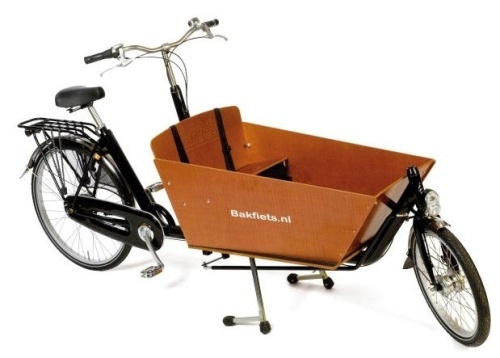 You will cycle around comfortably and without a care in the world, with just a little extra help. Thanks to the powerful engine and the smart frame design, you are guaranteed to have a comfortable ride with our A-Bike e-bikes. 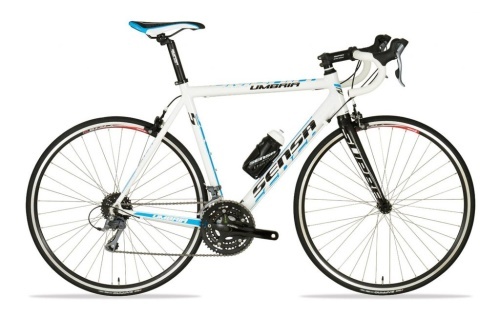 Long distances, high bridges, or biking against the wind? This won’t be any trouble at all, since the engine will give you exactly the right amount of support. 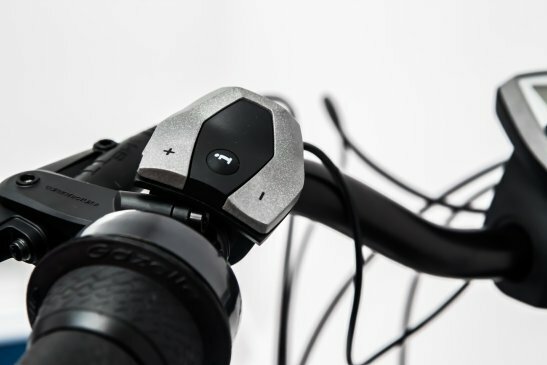 You can cycle up to 80 kilometres with a full battery. And if you run out of battery, don’t worry! We will give you a charger to take with you. All you have to do is look for a power socket, drink a cup of coffee while you’re waiting, and you’re good to go! 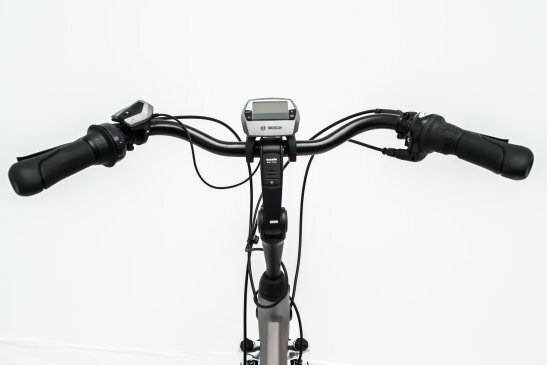 An e-bike is a bicycle with an electro-engine, which you can use for extra support while cycling. 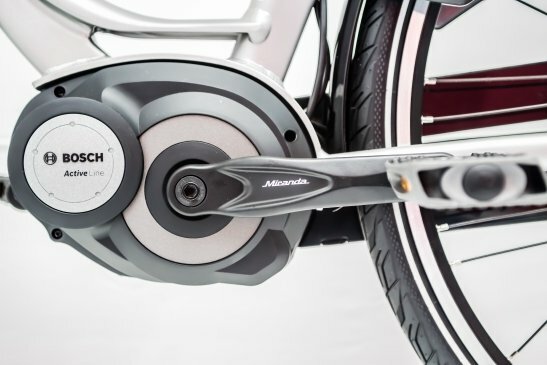 Aside from the powerful electric engine and the rechargeable battery, the e-bike comes equipped with 10 gears. 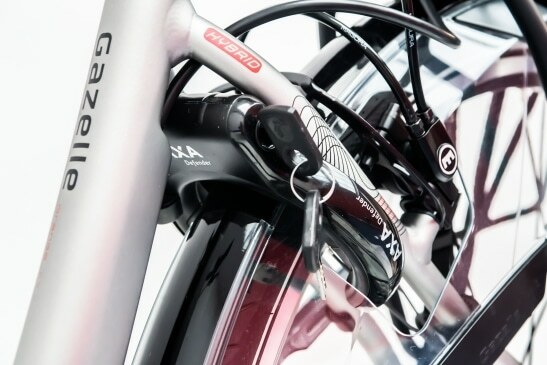 This makes it extremely easy to pedal faster and lighter, or slower and heavier. It just depends on the circumstances. 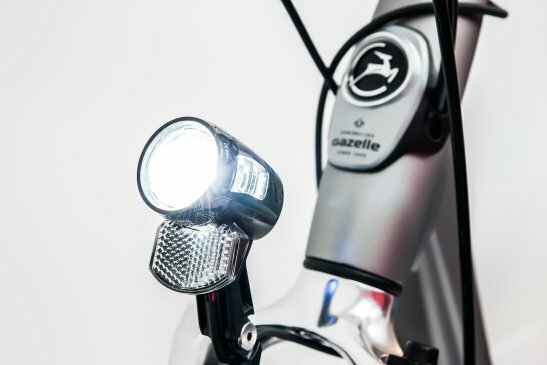 The bike has a powerful front- and backlight, which ensures that biking at night won’t be a problem. E-bikes tend to be heavier than bikes without an engine. That’s why our e-bikes are made from lightweight material. The frame is nice and light. 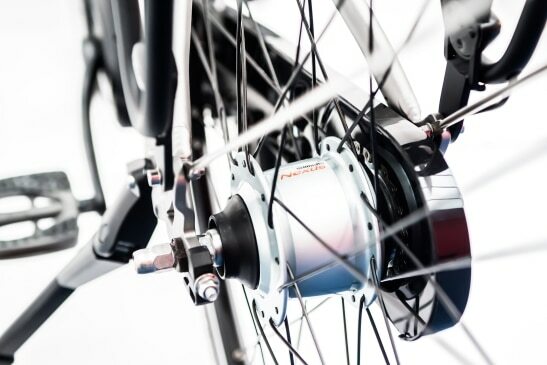 The hydraulic brakes are some of the best brakes on the market today. They don’t wear, barely need any maintenance, and allow you to dose how hard or how softly you want to brake. 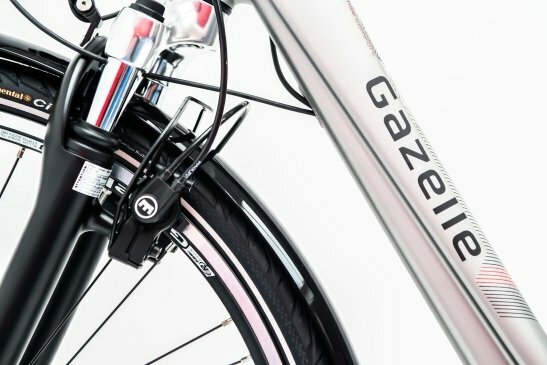 Who would benefit from the e-bike? Are you not that young anymore, not quite as fit as you used to be, or just not too into physically exerting yourself? Then renting an e-bike in Amsterdam could be the best solution for you. Whenever you need to, just switch on the engine’s electronic support system. 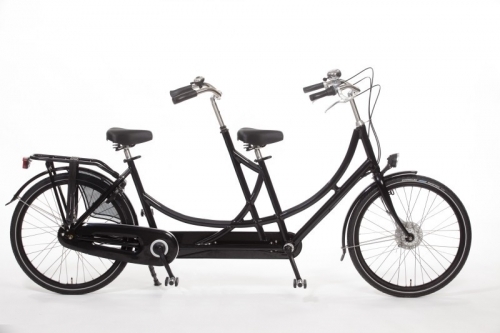 But you can also cycle without the support, by purely using your own muscle power. 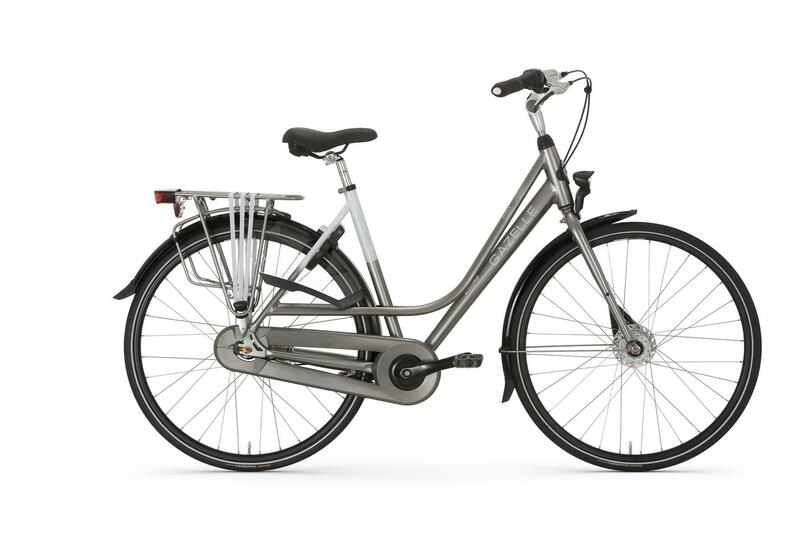 The e-bike is also a good choice if you’re planning to cycle long distances in Amsterdam and its surrounding areas. Or, of course, if you just love getting from point A to point B in a heartbeat.